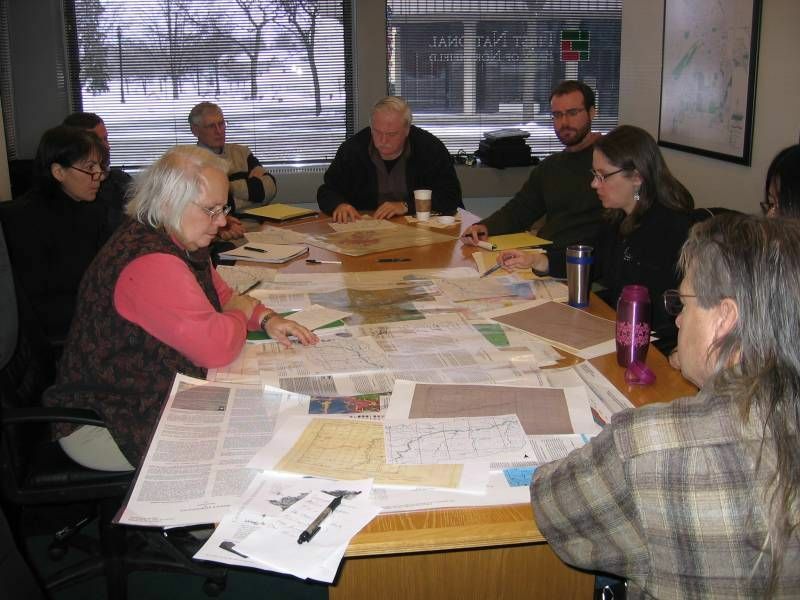 Inspired by Washington State-based architect (and Roundtable advisor) Bill Johnson’s belief that the Cannon River is the “gem” of our community, a group of people (including NDDC representatives) have been meeting since November to talk about and plan for our river. It seems that the more we learn, the more we need to explore. Topics have included the Malt-O-Meal Dam, recreational opportunities, economic development, (past, recent and future) flooding, and the history of the river and the surrounding community. Today’s focus (led by Carleton College‘s Mary Savina) was on what I’d call the changing geology of the river…going back to the last Ice Age. The river, including its path, has changed substantially, even since Jesse James’ visit. Most of the changes, to the river and riparian, have not been healthful. Fortunately, in recent years, much energy has been focused on improving the river’s health. In fact, Beth Kallestad, of the Cannon River Watershed Partnership, just released a “State of the River” Report this weekend. It has become clearer with every discussion that we need to better understand possible impacts of future changes. Group member David Hvistendahl (of Hvistendahl, Moersch, Dorsey, & Hahn) recently attended a conference programmed by the University of Minnesota’s Saint Anthony Falls Laboratory which included discussion of a computer model done on the Sandy River in Oregon. The group decided that one of our next steps should be to visit the SAFL and learn more about the river modeling. (Do I hear the chant, “Road Trip! Road Trip! Road Trip!”?) No matter what direction we take in the future, modeling will help to inform our discussions and decisions.